Have you ever gotten to a point where you just felt like you couldn’t take another day of your strenuous schedule and you can’t help but wonder how to stay motivated in college? I know that feeling all too well right now. 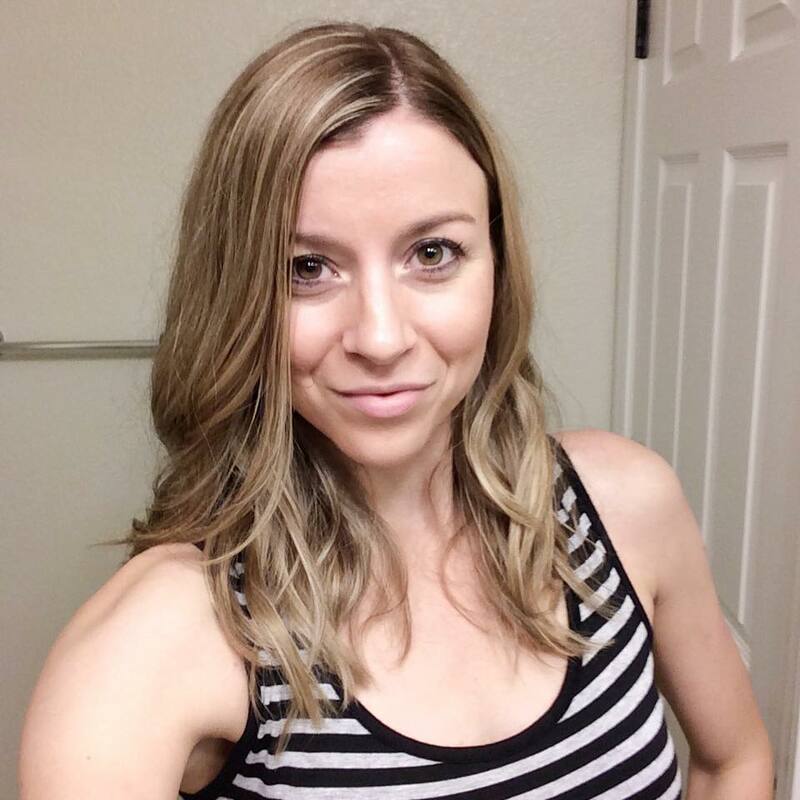 I actually just finished my master’s degree – something I never thought I would do – and although I’m super excited that I did it, I found myself using every ounce of motivation I could to make sure I stayed on top of my game during my last few courses. I’d be lying if I said it was an easy ride. In the midst of working a full-time job, I was taking a full course load so that I could graduate sooner than later. I knew that I would have definitely struggled even more to get through it all if I had dragged it out any longer. I had a similar feeling when I was working on staying motivated in college while completing my bachelor’s degree. I was working so that I could pay my bills, trying to maintain a social life, and studying to make good grades all at one time. There were a few nights that I honestly contemplated whether I could finish what I started. I have never been a quitter (nor do I plan on turning into one), but I couldn’t help but feel slightly overwhelmed (okay, maybe a lot overwhelmed at times) with everything that was on my plate. How to Stay Motivated in College, Especially Through 4+ Years of It! 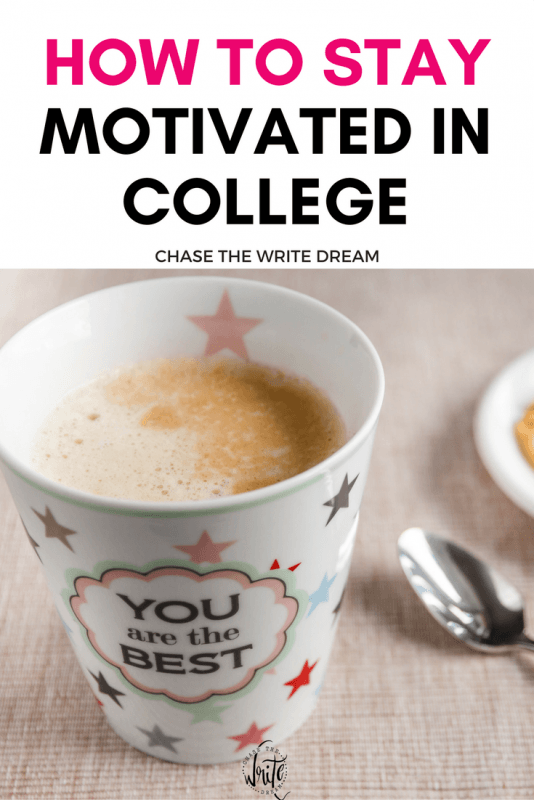 At the end of the day, I knew that finishing my degree was the right choice for me, so I set out looking for ways to stay motivated in college. Even throughout my master’s program, I found myself continuously looking for better ways to help me stay on top of everything. Honestly, it has probably been one of the biggest educational challenges I have ever endured, but what doesn’t kill you makes you stronger, right? I wish I could tell you that there is a clear cut method to help you on this journey, but the reality is that what works for someone may not work for you. That’s why I want to leave these tips for how to stay motivated in college on the broader side. My hope is that they will spark some sort of fire in you to create a method that works for you. Don’t be afraid to tweak these if your method doesn’t work the first time! This was a big one for me. I needed someone encouraging me and reminding me of all the educational successes I had in the past, especially on the days when I didn’t perform as well on an assignment as I would have hoped. I needed people that I could talk to and vent to if I was feeling overwhelmed. Ultimately, I needed supportive people that I simply knew would be there for me, even if we didn’t talk all that often. Can you think of at least five people that you could go to if you needed some extra support? Do you have a friend or family member who checks in with you to provide some encouragement? If you answered no, I’m going to encourage you to step outside your boundaries a bit and ask someone to be a support for you. No, you don’t have to talk this person every day. In fact, they don’t even have to be someone you see face-to-face! A supportive person could be an old friend that lives a thousand miles away but connects with you via social media or email. Find your support system… Don’t let yourself be the only motivation you have to get through the college years. No matter how busy you get, it’s important that you set aside some “you” time. I guarantee that you will struggle with staying motivated in college if you fail to follow this tip! We all need a break from life at some point. In these moments, don’t feel like you have to go out and conquer the world! IT’S OK to veg on the couch for a little and watch one of your favorite TV shows, go get some ice cream, read a book that you actually enjoy, or do something else you don’t normally get to with your busy schedule. 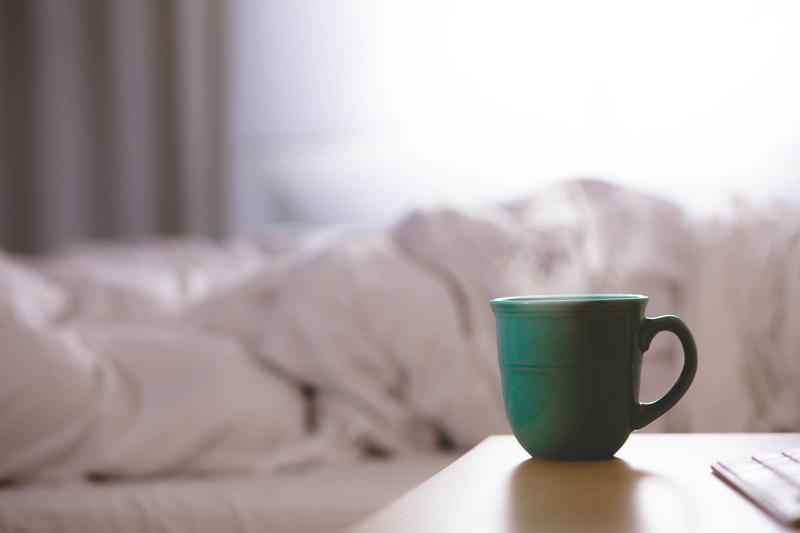 Self-care is absolutely crucial if you want to stay motivated in college. Be sure to read my Practicing Self-Care in College post for more details an ideas! For some of us, simply hearing people tell us that we are capable isn’t enough. Although these words aren’t necessarily empty to us, they just don’t carry the same weight as actually seeing something physically there. It would be fantastic if you could have your future diploma to look at, but since that isn’t really an option, you need to get a little creative here. That’s why I’m providing this tip for how to stay motivated in college. Never completed a dream board before? The process is simple. You find a poster board that you can hang on your wall or put in a place where you’ll see it on a daily basis. Then, you start covering it with things you are working toward. For example, if you are working toward getting your college degree, then you might put pictures of a graduation cap, GPA you want to have, or career you would like to be in one day. I’ve seen students do this in a variety of ways. For me, I liked to have a physical copy of my degree plan in front of me so that I could check something off every time I completed a course. It was my way of seeing how close I was to graduating. You may find that your methods for staying motivated in college require being a bit more specific and short-term. If that’s the case, you may want to create a checklist on a whiteboard or calendar so that you can see what assignments need to be completed each week and when. This will help you stay on track while also showcasing your accomplishments! Your environment can make a huge difference in how motivated you feel. If you aren’t living in a space that is relaxing and comfortable, then how can you expect to stay focused? I wrote an entire post about this topic, so make sure you check it out: Make Your College Dorm Room a Retreat with These Ideas. If you are still struggling to figure out how to stay motivated in college, I hope this last tip will ring home for you. Getting to experience college is a gift, one that not everyone will get to have during their lifetime. This is your chance to do something great with yourself. This is a great step in reaching your dream career, working at a company you admire, or to gain knowledge in an area that interests you. Never take this opportunity for granted. I am the freshman.I think it’s very useful for me. Thanks for the great pointers! I am no longer in college however some of the points you make are helpful in everyday life! Certainly being connected with supportive people is a great way to stay motivated! And making you time is always necessary! Thanks! Totally agree that these can be used in all aspects of life! 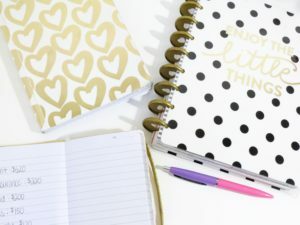 I’m in the workforce but I’m finishing up my master’s degree and I’ve found myself going back to these pointers to help me balance work, school, and life in general! These are wonderful tips! Thanks for sharing!! Glad you enjoyed them, Hannah! Love this post! This is how I honestly got through my Master’s as well (completed in 2005). Hang in there! Thanks Rachel! I’m SO close! This is such sound advice! 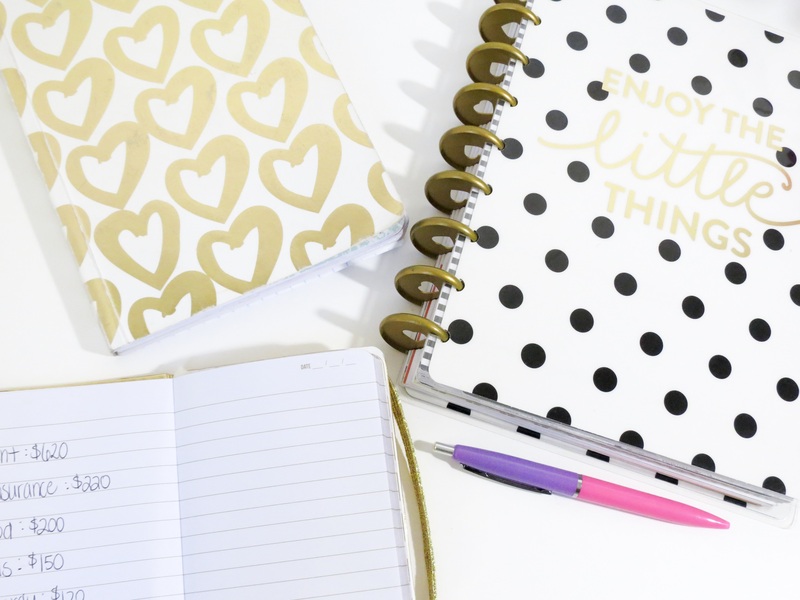 I’m one of those people that always needs to schedule ‘me time’, and it’s usually one of the first things to go when I get busy! Same here Tory! I need to remember that it’s ok to have ‘me’ time! Such great tips! Thanks for sharing, I’m not in college any longer, but I will still apply these tips to other parts of my life! I was in the same boat last semester. Working full time, blogging and wrapping up that masters. It was exceptionally hard to make the time and have the motivation. However, the things you outlined definitely helped. Especially supportive people by my side and keeping in mind that education is a tremendous privilege. You are so right about viewing education as a privilege! I needed this today. I am a full time student, mother of 3, working part time. It is really hard to stay motivated sometimes and I’m so close to finishing. I love the dream board idea! I might start working on thar tonight! I’m so glad you found it inspiring!!! This helped me so much! Since I just started college, working, and blogging, it can be so easy to just slack in one of those areas. I will try to keep myself on track like this! Me time is something I cherish so I will definitely utilize that to keep myself on track. Thanks so much! Thanks so much for sharing this article. There are some great tips in here and I plan on taking your advice to help me get through this semester! I’m so glad you enjoyed it, Shay! I hope that you have an awesome semester 🙂 Make sure to check back regularly for new posts about college! Tori, this is great information, especially the dream board. Visualizing success keeps your mindset and motivation levels to succeed healthy and strong. Please keep this type of useful information coming! So glad you enjoyed this one, Joel! I agree – visualizing success helps you put things into action!